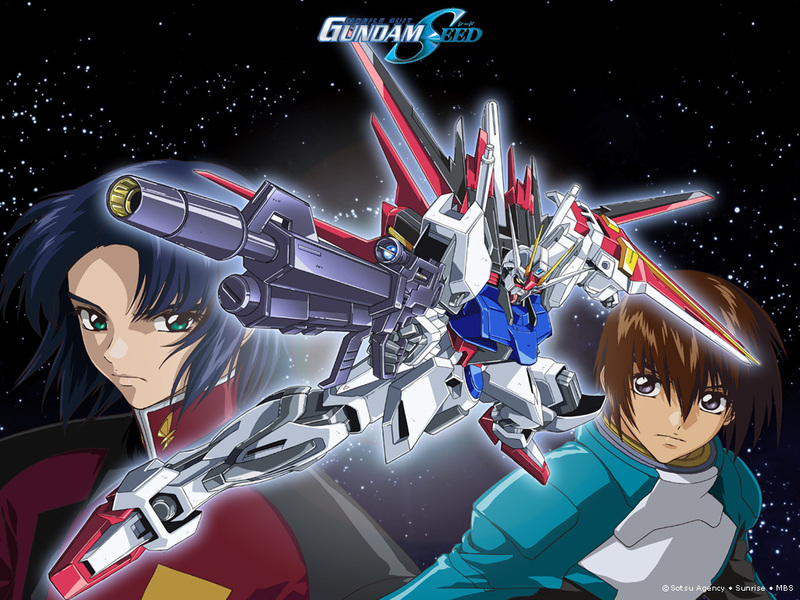 I was not able to watch Gundam Seed before, and despite the warnings that I got regarding the show, I still opted to watch – probably due to the mechs. When I saw the first episode, I could not help but think of the high parallelism between the show and the original Mobile Suit Gundam. We have the civilian who became the lead pilot despite his hesitations to be in battle all because he has to protect his friends, the crew of the new battleship – which are all newbies because everyone else got killed, the battleship has the similarity to the White Base, the pilot – though in this case is a veteran, as opposed to the earlier newbie, and of course, the masked guy who is chasing them all. Well, I was forewarned by my cousin that a lot of the Gundam shows based their story-lines from the Mobile Suit Gundam. In any case, I like the mobile suit designs, and their abilities. I was exposed to the various mobile suits in SEED via a fighting game. Although the basis for my choices in the game were relied heavily on the fighting abilities in-game, in connection with my playing style, seeing them in animation is fun. Now, I plan to finish this series soon, for as of writing this, I am barely one-fourth of the 50 episodes. I find it interesting, though there are a few that seem to tire me. Lacus’ singing is starting to get on my nerves. Kira Yamato is also getting there. But, if I was able to survive 43 episodes of Amuro… I think I can survice Kira Yamato. Well, we’ll see. This will probably decide whether I’ll continue with Gundam SEED Destiny, or not. Posted in Feature.Tagged anime, gundam, gundam 0079, gundam seed, kira yamato, mecha, mobile suit, mobile suit gundam, parallelism, similarity.